Have you read this? Now a movie. Have you read this? It’s now a movie. 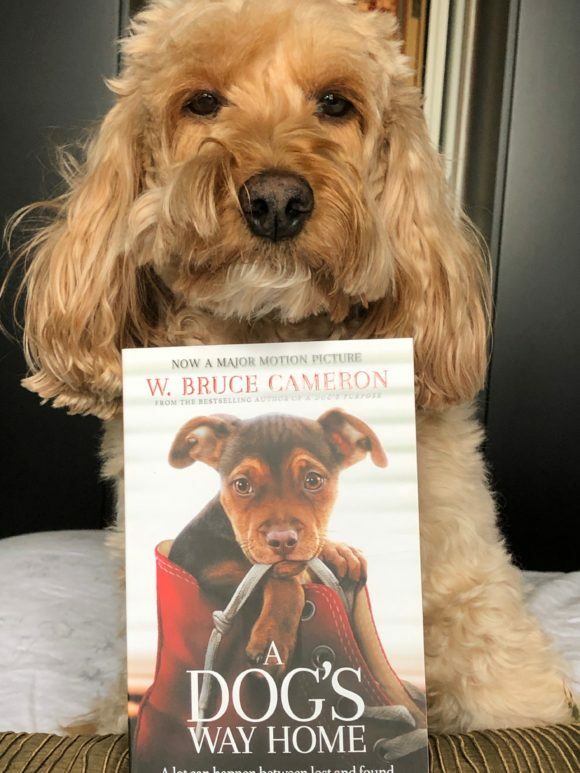 It’s the story about a puppy, Bella who finds her forever owner, Lucas. In one of her silly-obsessed moments with squirrels, just like I have, Bella becomes separated from Lucas. She got so lost and soon found herself on an epic 400-mile journey to return home. Along the way, Bella has countless adventures, meeting lions, a down-on-his-luck veteran and friendly strangers – and she touches their lives. I often wonder what I would if it ever happened to me?!?!!? I would be desperate like Bella to get home to Mum. 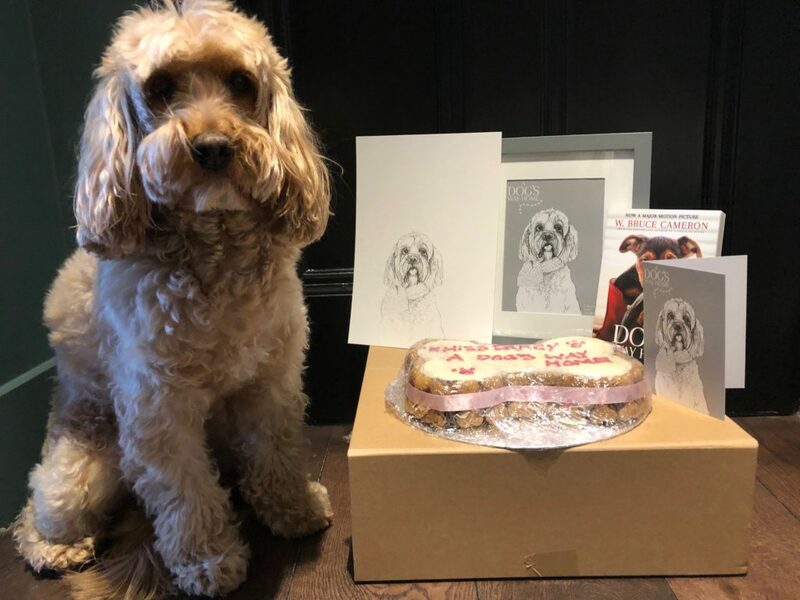 To celebrate the release, Bella kindly sent us a cake to share with friends. Think we’ll bring it to our Hyde Park Doodle meet tomorrow! And a drawing of me by Rebecca Harrison Designs! Thank you very much! 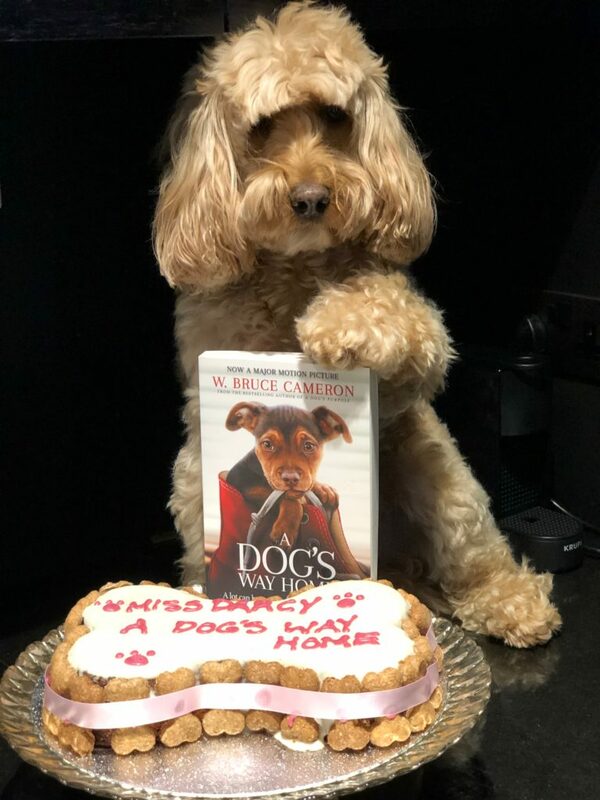 We will enjoy the cake while Mum is at the movies though we’re still hoping we can see it with Mum – maybe at a special doggy showing. May’s comment: A definite tear-jerker! Watching the movie made me wonder, as I have many a time, what would Darcy do if we ever lost each other. I wonder if she would be able to find her way home. I think she would if she was in Hyde Park as she walks there almost every day. But what if we lost each other in the countryside or somewhere else …. A good reminder – never be without that tag! Make sure the microchip is up to date! That way if someone got her they can contact me. But she might be too terrified and will run away from people. Hate to think it what might happen. She would be panicking. As for George, he’ll find the next person who will take him. As much as I’d love to see the movie, can’t do! I probably wouldn’t be able to watch it anyway, through my tears. One never knows what these naughty little poos will do. Darcy would never want to lose me but her great desire to chase squirrels will lead her astray. I have seen her at a distance when she got lost and seeing the panic in her body language already made me cry.